What is the challenge and what can YOU do? Manzil Mystics has built a team which is empowered to work with 100 schools this year. 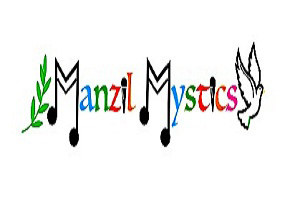 Our objective through this endeavour is to raise funds to support 10 identified schools in South Delhi for FY 2018-19, which have been part of Manzil Mystics since ..... We have been working with about 1000 students in these schools, and wish to continue impacting their lives through our Music programme. Music creates safe and happy spaces for these children and also helps in improving educational outcomes. We believe that cultural arts, especially Music can have a big role to play in getting children interested to come to school, thus triggering other essential elements of change. This can happen as Music creates safe spaces, brings happiness, inculcates confidence and creativity, and ignites the true potential of a child. Further, the programme stimulates cognitive thinking, and promotes messages of inclusion and empowerment. After running this project in various schools and NGOs we have seen students becoming leaders, improving their grade rates and becoming more sensitized to life skills. By contributing to our movement, you will be directly helping our 1000 students in Delhi NCR to reach their full potential and develop as good human beings and responsible citizens. We assure you that every single penny that you contribute will go into developing a strong, positive and a happy learning environment for our students. So contribute if you believe in us and do spread the word around. LetzChange (a unit of Give Foundation) is an online fundraising platform working towards helping people contribute to committed Indian non-profits. Are you a non profit?